Merry Christmas from Rococo Systems! 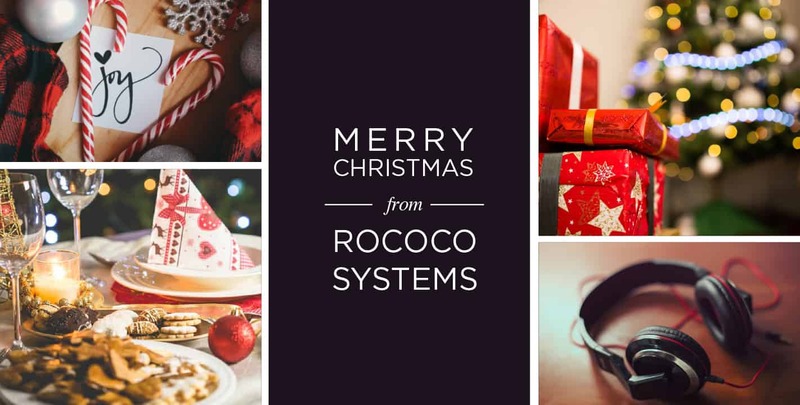 It’s December and we want to wish you a very Merry Christmas and a Happy New Year here at Rococo Systems! Christmas and New Year is a fantastic time to host parties for friends and family. A sound system from Rococo Systems can help you to throw the perfect party. Rococo Systems provide a range of cinema and sound systems that can transform your space. The Linn DS Multi-Room sound system is an excellent choice of sound system that would be perfect for a Christmas or New Year’s party. You’ll be able to access your whole music collection and use the type of remote most suitable for you. It is simple to expand your Linn sound system across multiple rooms and our sound engineers at Rococo can do this without any fuss or disruption to your home. The Niles Auriel Multi-Room will help you create memorable moments in your home, that your family and friends will never forget. The Niles Auriel Multi-Room enhances your property, is incredibly easy to use and can even be operated through phones, tablets or computers. Relax and share a movie with friends in 2017 from the comfort of your own home with a cinema system from Rococo Systems. We provide the latest, state-of-the-art technologies and can help you to design any kind of home cinema. Our specialists have extensive experience creating alternative home cinemas, dedicated home cinemas and even garden cinemas! If you would like more information on the home entertainment systems from Rococo, please get in touch. Contact us online and we will get back to you as soon as possible or speak to a member of our team directly by calling 01277 890 888 or 020 7454 1234. Merry Christmas and a Happy New Year from the team at Rococo Sound Systems!